WRITER: Screenplay by Chris Weitz and Tony Gilroy. Story by John Knoll and Gary Whitta. Based on characters by George Lucas. PLOT: When an Imperial defector reveals the Empire is constructing a planet-destroying super weapon, a small Rebel group embarks on a daring mission to steal the plans and bring hope to the oppressed galaxy. Spoiler Alert! The following review discusses certain elements of the film that may be considered spoilers, depending how much you read about the film before it was released. Significant plot elements are not disclosed but if you’ve not yet seen the film, proceed with caution! My own expectations were pitched at a reasonable level – I was looking forward to seeing something a little different, but wasn’t necessarily expecting it to match last year’s blockbuster return of the franchise. However, with several early reviewers giving the film a perfect score and public feedback from the midnight showings suggesting the film was not only better than The Force Awakens, but on a par with The Empire Strikes Back, my excitement levels were heightened and I sat down on opening night ready to be thrilled once again. Sadly, upon leaving the cinema a few hours later, the overriding emotion was that of disappointment. As most people should already know, Rogue One tells the story of how the Rebel Alliance obtained the plans for the first Death Star, which was memorably destroyed by Luke Skywalker almost 40 years ago. Crucial to this mission is Jyn Erso (Jones), a street-smart loner who is broken out of an Imperial prison for a specific reason – she is the daughter of the man responsible for developing the Empire’s super weapon (Mikkelsen) and the Rebels feel they can use her skills and contacts to help their cause. Erso teams up with veteran Rebel captain Cassian Andor (Luna) and his sarcastic droid K-2SO (Tudyk) to track down a message from her father, delivered by an Imperial defector (Riz Ahmed). Ultimately they rally a group of desperate Rebel soldiers and lead a seemingly suicidal mission to retrieve the plans from the Imperial archives on the tropical planet of Scarif. Opposing the group is the might of the Empire, and specifically Orson Krennic, the director of the Death Star project (Mendelsohn), while the familiar faces of Grand Moff Tarkin and Darth Vader are also ominous throughout the story. 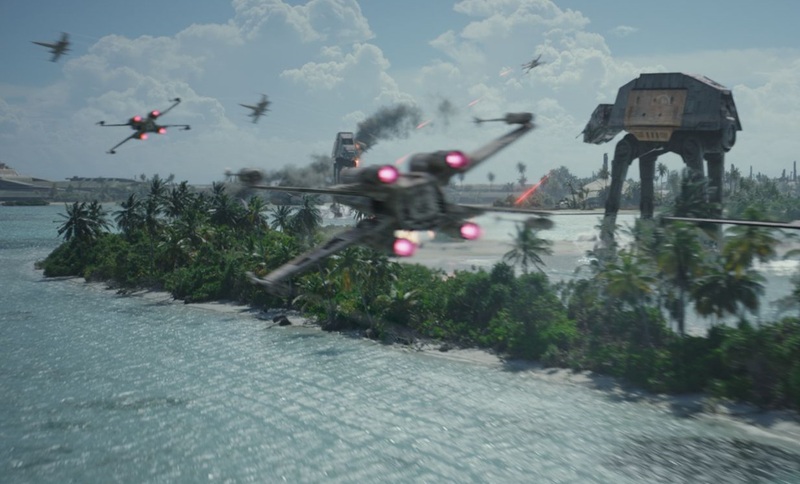 Rogue One features some of the best Star Wars action sequences to date. Before explaining what disappointed me, it’s only fair to say that there’s plenty to like about Rogue One. There’s no doubt that director Gareth Edwards has delivered the gritty war movie tone that we hoped for. 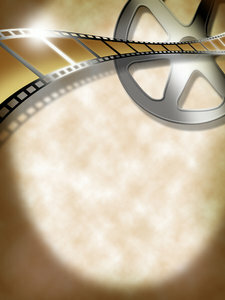 The use of handheld-style camerawork in many scenes puts you right in the middle of the battle between the Empire and the Rebellion, and there are moments that bring to mind the likes of Black Hawk Down’s urban warfare and Saving Private Ryan’s famous opening, albeit with less blood and guts. Whether they be on the ground or in space, the action sequences are amongst the best in the Star Wars franchise to date, and the final act of the movie delivers everything the trailers promised. The film also offers an interesting blend of new and established characters. Of the newcomers, K-2SO is the standout; a grumpy, gangly droid who provides most of the films lighter moments. Donnie Yen plays probably the most intriguing character – Chirrut Imwe, a blind warrior that seems to be in tune with the Force, but cannot actually use it. His on-screen time is modest, but used well, and this is a character whose back story I wouldn’t mind seeing in an expanded universe story. The more familiar faces pop up mainly in small cameos, but the most notable are the aforementioned Tarkin, portrayed by Guy Henry with a CGI overlay of the long-deceased Peter Cushing, and Vader, who features in two scenes. The later of those is without question the best moment in the film, and given that the earlier scene contains some unintentional comedy, it would have been more impressive to have just seen him in the finale. 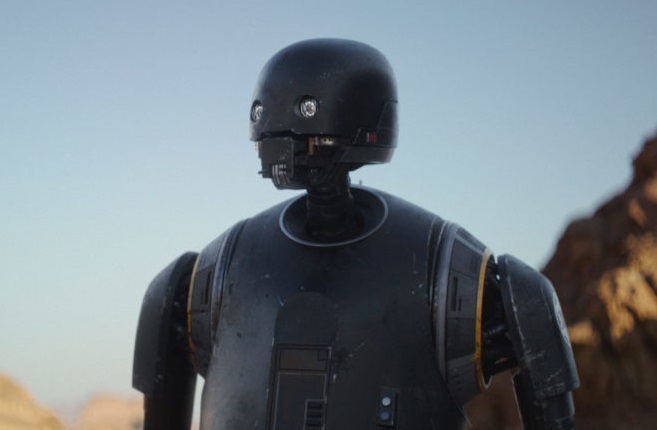 Grumpy reprogrammed Imperial Droid K-2SO is one of the film’s best characters. So why the disappointment? For starters, I wasn’t a fan of the CGI Tarkin – the voice acting was reasonably good, but the CGI rendering was odd and distracting. While undoubtedly an impressive technical achievement, the final product somehow managed to look both older and younger than Cushing was in 1977, and the character was overused with too many facial close-ups that seemed like the effects team trying to show how clever they were. There are other CGI characters in the film that were done a lot better, and I did enjoy the inclusion of the X- and Y-Wing squadron leaders from A New Hope in this film’s final space battle. There was one thing I absolutely hated about the film, and that was the decision to use captions on the screen advising the viewer which planet the story was taking place on. The previous seven Star Wars films have never needed to do this, and as far as I know nobody has ever complained about not knowing the name of a planet. I accept that the director would want to do something new, but this was a distraction that took you out of the movie and made it feel like an episode of C.S.I. Another great disappointment was the film’s score. While I love John Williams’ work, especially in this franchise, the decision to have somebody else score the film was a welcome one, as this offered the chance for another composer to come up with something different for this spin-off. Sadly, what we got from Michael Giacchino was a handful of themes that sounded like they’d been pulled from Williams’ reject bin, plus a bunch of familiar tunes from the original saga. This was a massive opportunity to take Star Wars music into a new direction, be it electronic or militaristic, and that chance has been wasted in favour of a safer option. One can only wonder what might have happened if Alexandre Desplat, the composer originally attached, had been able to fulfil his commitments. There were other minor issues, such as the seeming uselessness of Stormtrooper armour and the dreadful editing of the first ten minutes, but the main reasons the film disappointed me were far more important – story and characters. It was always going to be difficult to tell a story that everyone knows the outcome of, but I was not expecting it to be as predictable as it was. Before the film many people were worried about spoilers, but I can honestly say that with the possible exception of the last few minutes, there are virtually no surprises in this story. The blame for this lies with the writers and director, who should have seen it as challenge to provide some interesting plot twists before the inevitable conclusion, but instead trod a linear and sometimes boring path towards the admittedly exciting finale. An extension of this was the lack of engaging characters, specifically the two leads. 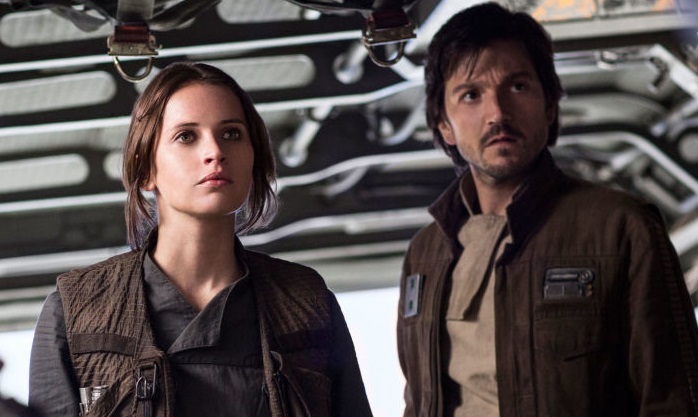 Both Jones and Luna act perfectly well, but Jyn and Cassian are not particularly likeable, despite the latter having a potentially interesting back story. One thing The Force Awakens did particularly well was introduce new characters that you were rooting for within ten minutes of meeting them. With the exception of K-2SO, that was not the case here, with the result being that when they all meet their fate at the end of the movie, I didn’t really care. Lead characters Jyn Erso and Cassian Andor are well acted, but not very engaging. Ultimately, whether you enjoy this movie or not is going to depend on what you want from a Star Wars film. If you want plenty of action and an abundance of nods to the original trilogy, then this film will fit the bill and certainly dovetails nicely with A New Hope. If you were hoping for something a little more edgy than the main saga films, with risks being taken with the story and aesthetics, then like me you are probably going to be disappointed. It may be that I set my expectations too high given all the early hype, and perhaps my opinion will change when I watch it again. The saddest thing of all is that right now, I wouldn’t want to risk wasting my money on another viewing. While it contains some of the greatest action sequences of any Star Wars film and plenty of fan service, a lack of emotional investment in the characters and a story devoid of surprise makes for a rather soulless and disappointing experience.